Q. What is the reservation process? It's pretty simple. Just give us a call, email or chat with us online to check our availability. Once we see if we have an opening simply go through the reservation process online. Once the reservation is placed, we'll get an email notifying us that the reservation has been placed. We'll then shoot you an email to confirm and then arrange a time for pickup. Q. How do I get my security deposit back? Once all the gear is returned in good condition, we'll issue a refund for the security deposit portion or your reservation. We issue the refund the same day the gear is returned but it may take several days for it to process through you individual banking institution. Q. What does 'IK' stand for? 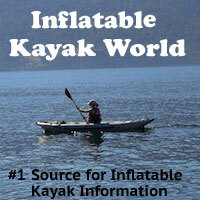 A. Kayakers use the term IK as the abbreviation for 'inflatable kayak'. Often they forget that others might not be familiar with the term. But now you know, so there won't be any more confusion. Q. I know in a traditional kayak you sit in a cockpit. Where do you sit in an inflatable kayak? A. On an inflatable kayak there is no cockpit. You sit in a secured seat on top of an inflatable floor. This keeps you higher than you'd be in a hard shell kayak and allows you to exit the boat much easier. Q. What if a big wave fills up my kayak? A. One of the beauties of inflatable kayaks in whitewater models is the self bailing feature. In whitewater kayaks there are ports in the bottom of the boat so that when water enters, it's quickly displaced out of the boat. This allows you to take on water without swamping the boat and taking a swim. Q. How heavy is an IK? Will I be able to carry it by myself? 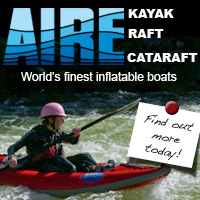 A. Inflatable kayaks range in weight depending on the material used and if it's a tandem or solo version. 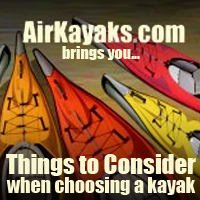 Our kayaks range from 25-60 lbs not including gear. Tomcat solos and both Airhead models can generally be carried by one person while the Tomcat tandem usually requires an assistant. Q. How do I pump up my inflatable kayak? How long does it take to inflate? How long does it take to let the air out? A. Pumping up an inflatable kayak doesn't take as long as you might think. Most of the boats we carry can be inflated in 10 minutes. Tomcat kayaks require a specific valve adapter for your pump. Simply insert it into the valve and give it a 1/4 turn. to release the air simply push and 1/4 turn the relief valve. Check out the video on specific product pages to see how this works. Q. What happens if I hit a rock? A. The IK's that we use at Oregon River Rentals are very strong and in the case of a bump into a rock, normally you will simply bounce right off and continue on your way. At the same time, they are inflatable and scraping along jagged rocks will puncture and tear the tube so avoiding rocks is always best if possible. Q. I'm a pretty big guy. Will an inflatable kayak support me? Will it sag in the middle? 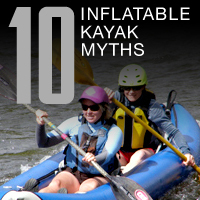 A. Inflatable kayaks can carry a lot of weight but at the same time there are limits. On each individual boat description page we note the capacity limits for each boat. Keep in mind that a tandem kayak that has a higher capacity can be used as a solo simply by reconfiguring the seat location. Q. How maneuverable is an inflatable kayak? will I be paddling in circles? If I need to make a quick turn will I run into the shore? A. Hard shell kayaks have the advantage when it comes to speed and maneuverability however, inflatable kayaks do a great job getting you where you want to go. The V shape design of the bottom of the Tomcat models keep the boat going straight when you want it to and allow you to turn on a dime with a quick stroke of the paddle. The Airhead models have attached skegs on the bottom to keep you from going in circles. Q. What if I fall out of my boat? How do I get back in? A. Tomcat kayaks have what's called a "flip strap" that goes around the entire body of the boat and allows you to pull and flip your boat back upright when the bottom's up. Re-entry does require you to be able to pull your own body weight out of the water and back into the kayak but it's definitely possible and best to practice this maneuver. Q. What kind of clothing should I wear this time of year when I am on the water? A. Rivers are cold here in the Northwest even when it's 90 degrees outside. When tackling rivers that you anticipate getting engulfed with water on, we recommend wearing a wetsuit. We also always recommend wearing a helmet whenever going kayaking. Helmets are included in any of our whitewater boat rentals and there are several shops in the area that rent wetsuits. Q. 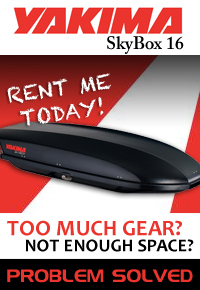 How much space do I need to transport an inflatable kayak? Inflatable kayaks are much easier to transport than hard-shell counterparts. Most models can fit easily in the trunk of your car. The paddles are two pieces that snap together easily. You probably can't stick it into a backpack and trek off into the wilderness alone, but compared to traditional kayaks, they take up very little space.